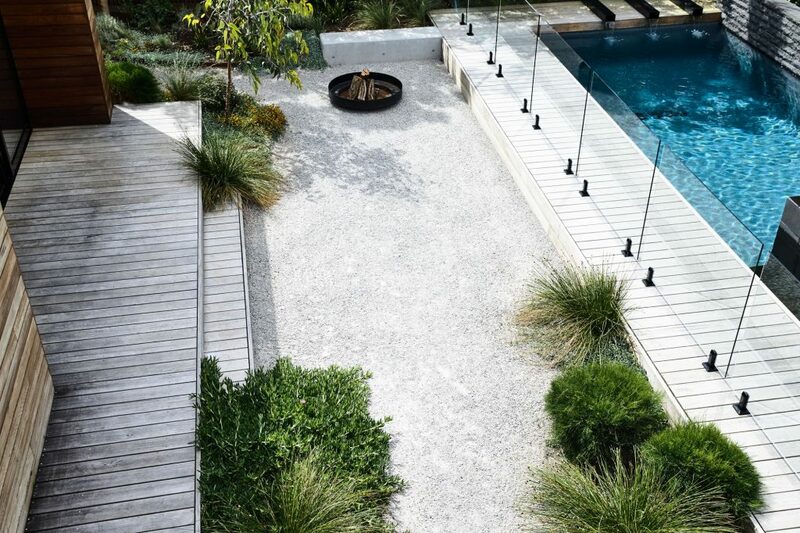 Having the right furniture in the garden can set just the right tone. 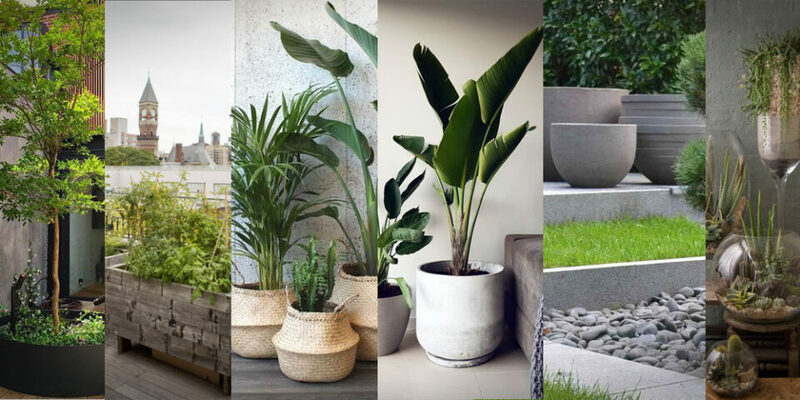 Whether it be contemporary or classic it will go a long way to set the style off your environment and may even be the focal point of the whole garden or patio. 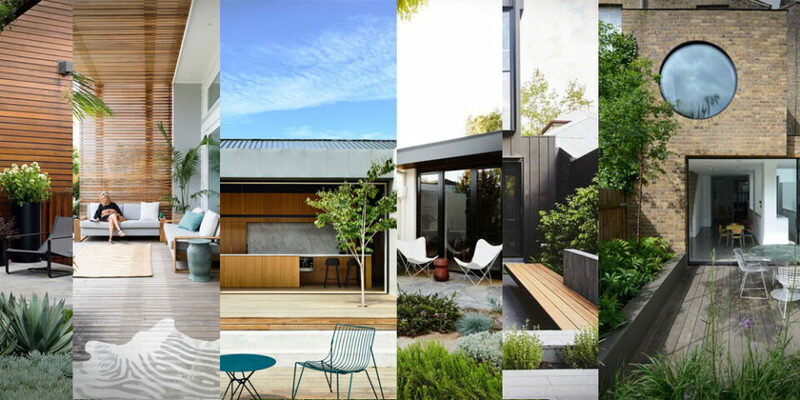 There are a huge amount of options out there for you to choose from so you need to get inspired to see just what might be around and how something different might be used. 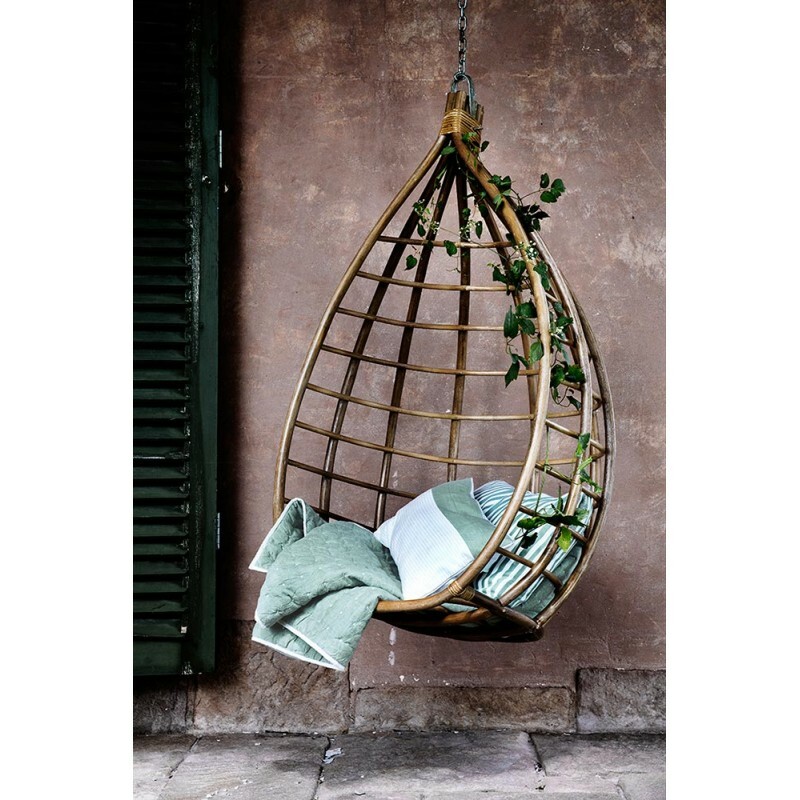 Don’t fall into the trap of going down Homebase and buying some rattan, be different! 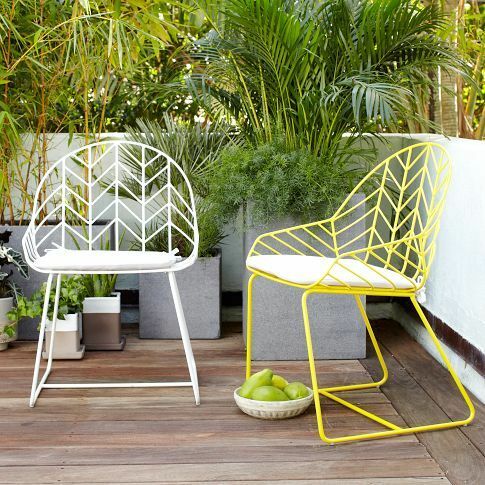 These chairs follow the lead of the design classic the Acapulco chair which has now been copied the world over and can be bought for old banana skins (for a fake). This different take on the design is mixing the modern design with the classic chair shape and I rather like it. 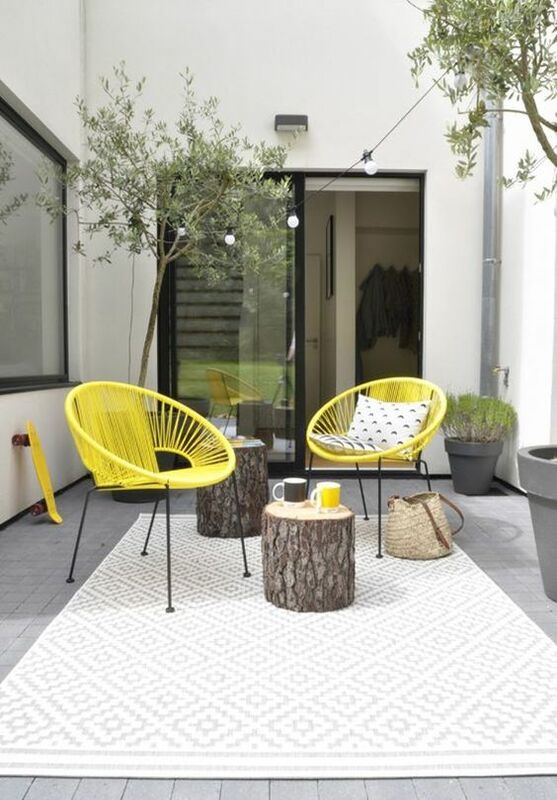 The striking yellow hue draws the eye and will provide year round colour. 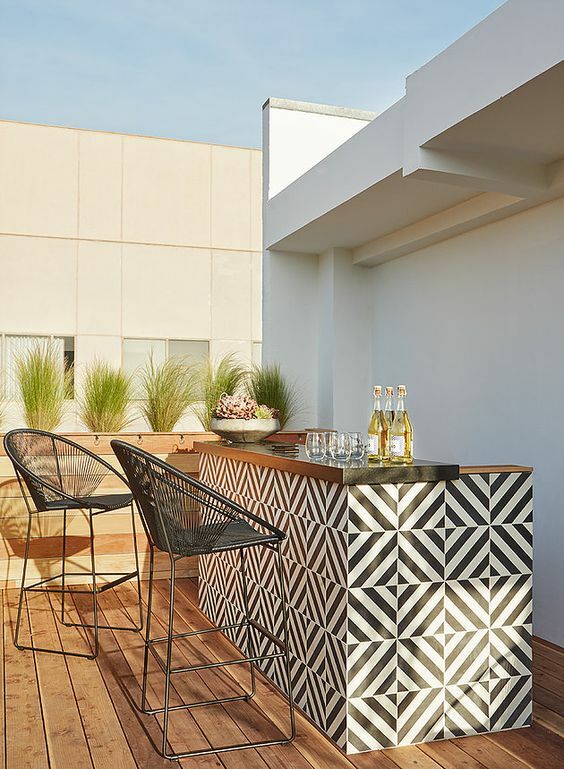 Again taking inspiration from the Acapulco chair (which is the designer garden chair of choice at the moment) these tall bar stool are an elegant fan shape and look a lot more stylish than most bar stools. The coated wire frame will make them durable for outside use and the supportive back will hopefully make the reasonably comfortable. 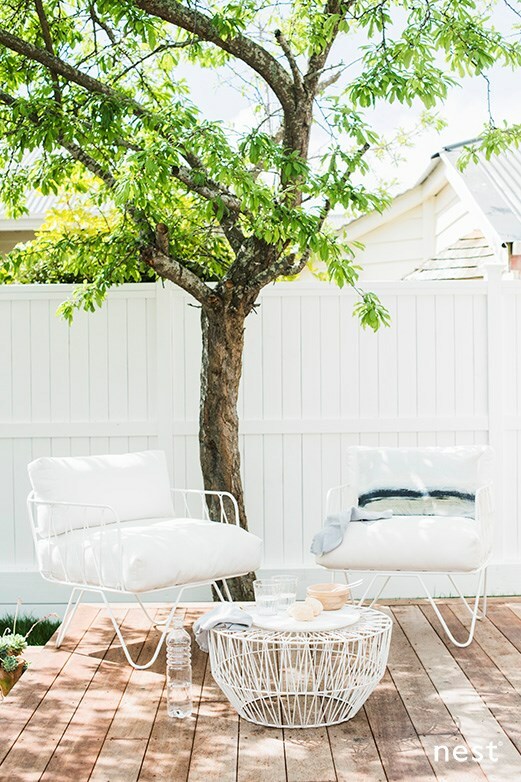 These light and delicate chairs and coffee table are the height of style. The white wire frame coffee table is stunning and if it were brass or copper would be a very stylish interior table. The white is probably a more weather proof coating but a copper version for outside would create a really nice patina effect. 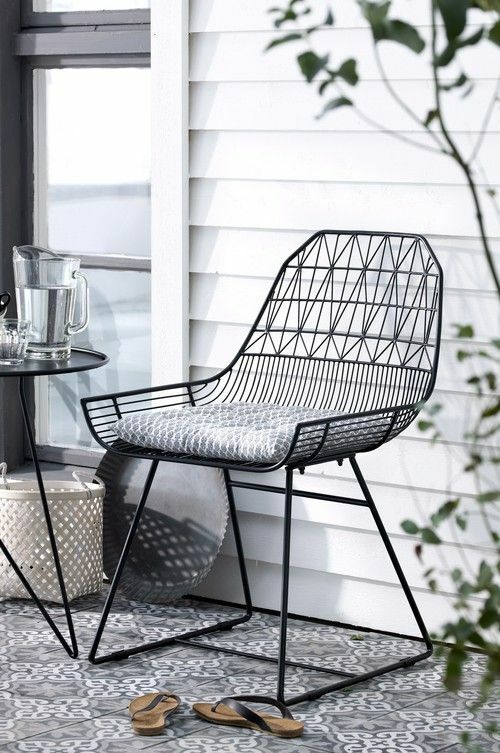 The detail on this outdoor dining chair looks like lace and is beautiful and delicate. 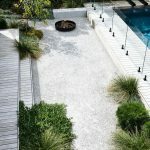 The theme of a lot of stylish outdoor furniture is a move away from heavy looking furniture and more towards the lighter and more elegant types. It’s a classic and I picked it really because you can almost do it your self. 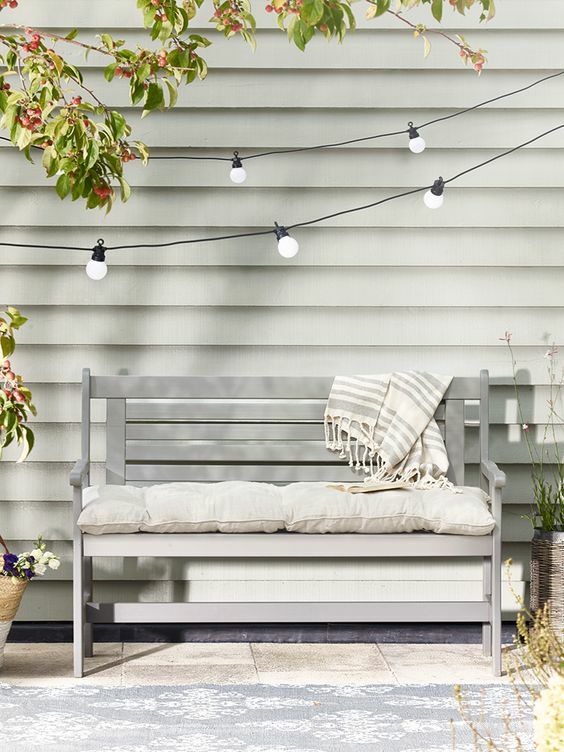 What makes this garden bench stylish is the colour. For a few years now the Farrow and Ball paint company have made the colours of choice for stylish, designer renovations both domestic and commercial and as a consequence we see people bring old goods into modern day just by painting them. 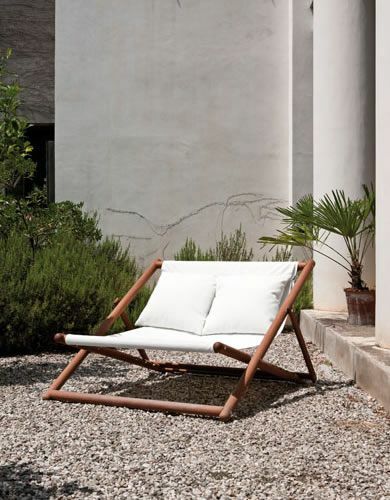 The simple thin lines of this day bed make a light and stylish piece of furniture. 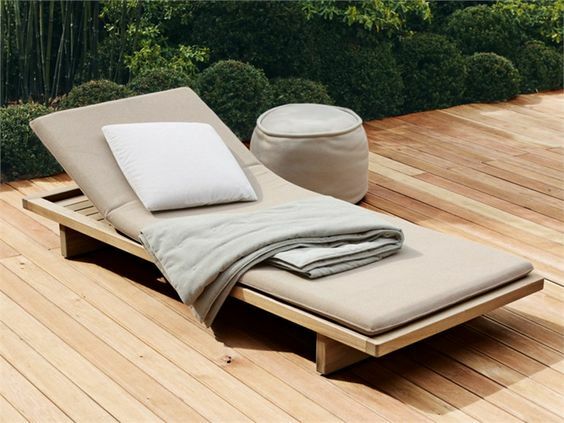 Even the name ‘day bed’ says something better than ‘sun lounger’. Made from a nice weather durable wood (we hope teak or something) this would make a great addition to your garden patio or deck. Easy to move around, deck chairs are a staple of the British sea side so here we have a double version for people who like to get cosy. What is great about this chair is that you can easily and quickly move it to where the sun is and it’s simple design will fit it just fine. 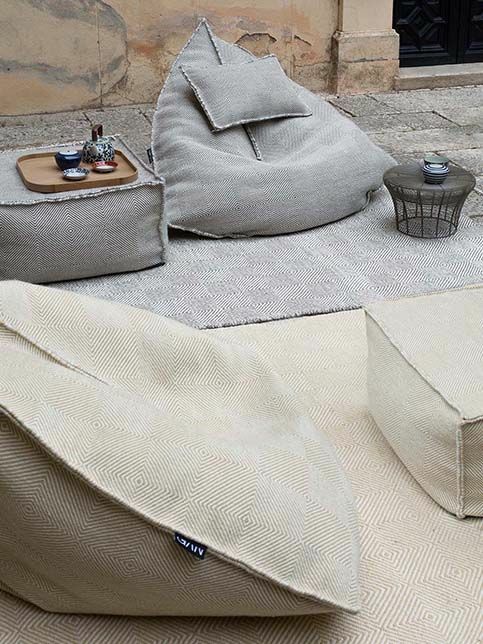 Fat Boy were the first well known company for big bean bags and to this day are probably the best and biggest but if you want something a little less nylon and more luxury then these guys make a great cushion. The whole set here is very reminiscent of Arabia and the relaxed sit down dinner/social that is portrayed in the media.